For the Rebel in you. 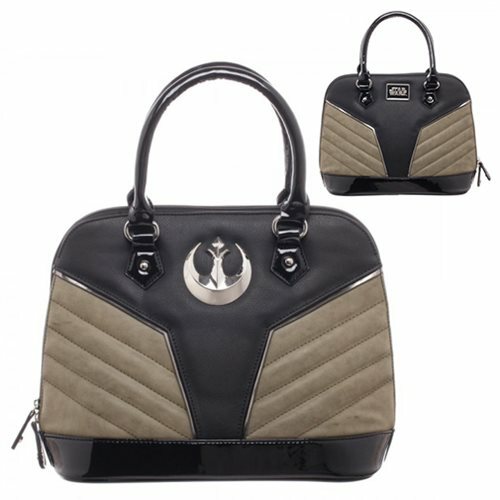 Travel the cosmos in Jyn Erso style with this classy movie-themed Star Wars Rogue One Rebel Jyn Dome Satchel inspired by Rogue One: A Star Wars Story. The Star Wars logo on one side and the symbol of the Rebellion on the other leave no doubt where your allegiance lies.